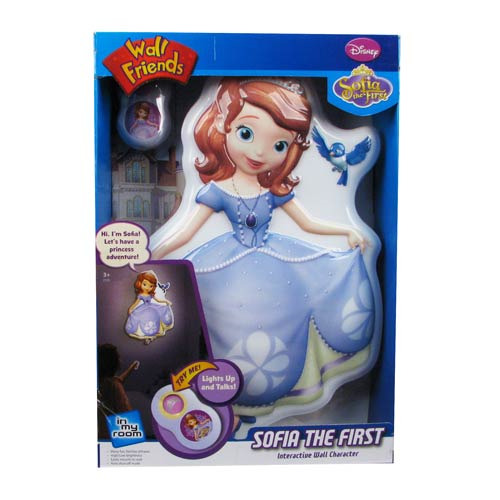 Now you can interact with Sofia from Disney's Sofia the First TV show from the comfort of your own room with the Sofia the First Talking Room Light! Just touch the remote and watch as she lights up and talks to you with many fun, familiar phrases, including: "Hi, I'm Sofia! Let's have a princess adventure!" Not only does the wall display make for fun artwork in your room, but it can also be a night light, too. Requires 3x "AA" and 2x "AAA" batteries, not included. Ages 3 and up.